Whether it be 3 v3, 4 v 4, 6 on 6 or full teams of eleven, you’ll find the drills in CoachDeck invaluable if you’re a volunteer coach. You’ll find 52 good, fundamental drills in four color-coded categories (passing, shooting, dribbling, defense) and each can be made into a fun game that kids love. 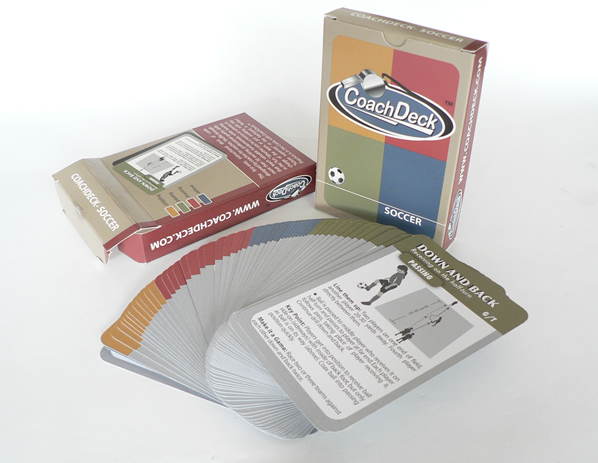 You can order yours at CoachDeck.com and start running fun and effective practices with no effort or studying required!